Every now and again, our couriers find a parcel brought to their depot that isn’t quite what they expected. It could be larger than declared, for example, or heavier, or it could be packaged incorrectly and require repackaging. The quotes we provide on our site are based on the parcel details you provide during the booking process. Therefore, if the courier finds that the package weighs or measures more than originally declared, or the courier has to take the time to repackage the item, the sender hasn’t paid the actual cost of the delivery. For this reason, the courier issues an additional charge to the sender to cover the extra cost. There are several different reasons your parcel could incur an additional charge. Below we’ve explained what each of them means, as well as how you can prevent incurring additional charges in future. This is where the declared weight or dimensions and the actual measurements differ. The actual cost from the courier is therefore higher than the price quoted when you booked. *please note this is not an exhaustive list but provides some examples of items that will incur an additional handling charge from TNT. 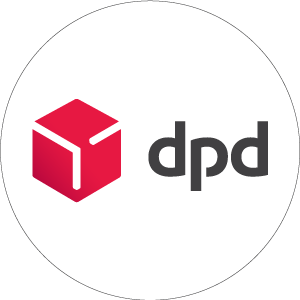 UPS, DPD and Parcelforce are the only couriers that produce large packet surcharges on items that exceed a certain measurement threshold. Here are details on circumstances when a parcel would qualify for a large packet surcharge for each courier. Length + girth exceeds 300 cm. Overmax charges are exclusive to UPS. Parcels weighing over 70kg, or measuring over 270cm on one side, or length+girth exceeds 419cm, will be issued an overmax charge. Volumetric weight (also known as dimensional weight) is a calculation of your parcel's effective weight based on its volume -- e.g. its length multiplied by its width and height. For example, if you were to send a parcel that measured 120 cm x 40 cm x 10 cm, the volume of that parcel would be 50,000 cm3 (or 0.05 m3). The volumetric weight is a metric that uses the volume in its calculation. Please bear in mind that each courier calculates the weight derived from volume differently. This means that the volumetric weight of your parcel may differ between courier services. For example, if you were using UPS, your volumetric weight would be 9.6 kg with the above dimensions. Why does volumetric weight matter? Say you're sending an iPhone to France. Imagine that, when you come to package this item, you opt for a box far larger than the iPhone's volume justifies -- say, the box to a 48" TV. Though the actual weight of that parcel might be less than a kilogram, it can't simply be added to the other small items of the same weight bracket, because it's so much larger. Therefore, the volumetric weight of the parcel is helpful for the courier, in that it makes sorting much more accurate. Could I be charged if I don't factor in volumetric weight when booking a delivery? There is a possibility that some couriers will add a surcharge to parcels the volumetric weight of which exceeds the declared weight. This is because parcels that haven't been properly declared take longer to be sorted, and often have to be taken care of manually. This, in turn, slows down the processing of others parcels on the sorting line and takes up the time of depot staff. The charge, therefore, is to compensate the loss of productivity the misdeclaration caused. Volumetric weight (also known as dimensional weight) is a calculation of your parcel's effective weight based on its volume e.g. - it's length multiplied by it's width and height. For example, if you were to send a parcel that measured 120 cm x 40 cm x 10 cm, the volume of that parcel would be 50,000 cm3 (or 0.05 m3). The volumetric weight, based on that volume, would be 12 kg. This weight could be different to the actual weight of the parcel. Say you're sending an iPhone to France. Imagine that, when you come to package this item, you opt for a box far larger than the iPhone's volume justifies - say, the box to a 48" TV. This is because misdeclared parcels take longer to be sorted, and often have to be taken care of manually. This in turn slows down the processing of others parcels on the sorting line, and takes up the time of depot staff. The charge, therefore, is to compensate the loss of productivity the misdeclaration caused. Keeping yourself from being hit with future charges is simple enough - it just takes a few double-checks on your part before you book your parcel for delivery. If you've been issued an underpayment charge that you have sufficient evidence to dispute, please complete the form below to confirm the declared measurements of your parcel along with any supporting evidence. We will then investigate your query with the courier and get back to you as soon as we've heard back. Supplying photographic evidence e.g a photo of your parcel, will enable us to process your claim quicker, however if you do not have any evidence please click here. If you have photographic evidence to submit, please click here.